Please note we are currently not offering an apple pressing service. Ragmans is sorry to say that we are currently unable to offer an apple pressing service. 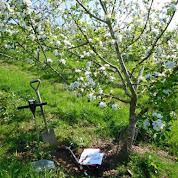 If you are in Gloucestershire you could contact the Gloucester Orchard Trust to see if they have any equipment you could hire or details of anyone that can press your apples CLICK HERE to visit their website.